From New Jersey to New York today for the track pic of the day. 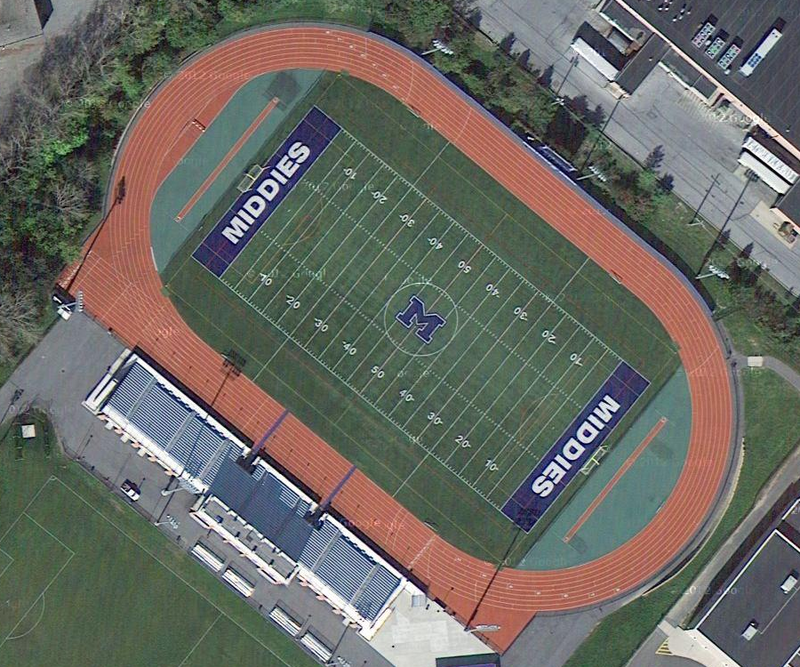 The high school state championship meet for public schools will be held here, at Middletown High School. This looks like a nice track, but for field events, it appears that only pole vault is located inside the track. Not the greatest for spectators, the all of the other field events (long, triple, shot, discus) are located close together outside, so it should work just fine. You can’t really see any specific spot for the high jump, but that probably is in one of the ends in of the track as well. Notice the water pit in the north end of the track. Yes, they do have the steeplechase in New York for high schools! There are two competitive divisions, and they both have their state meet here June 7th and 8th.